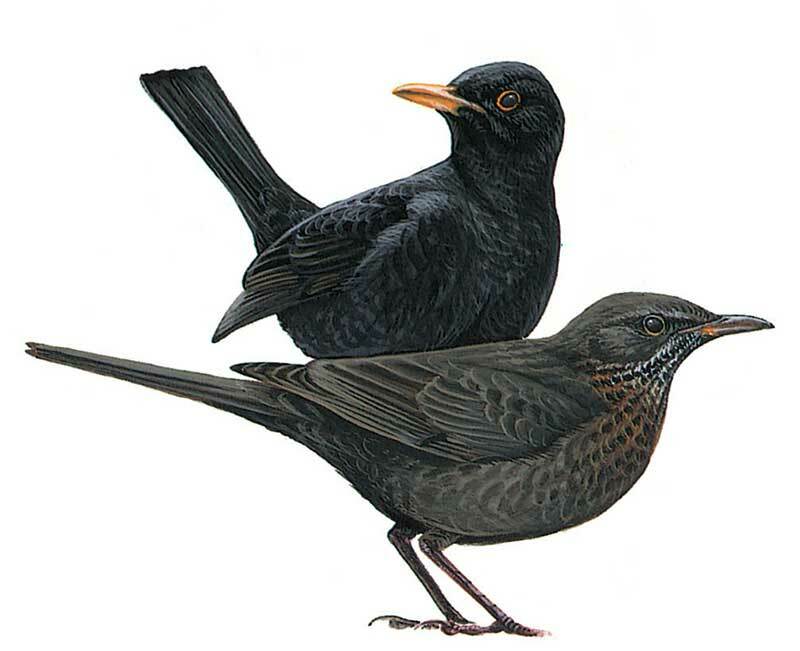 Entirely black with yellow bill, though 1st year males show brown flight feathers and yellow and dark bill.Female dark brown with all dark bill and slightly paler throat and breast with dark mottling (when seen from close). Juvenile similar to female but shows more mottling to underparts. Superficially resembles Starling but has longer tail and hops (not walks) on ground.